Happy July and welcome to the June monthly round-up everyone! On the web this month we spotted some fantastic articles. Learning the very basics of HTML and CSS is a must in the age of digital marketing. If you can’t differentiate your <br> and your <p> tags you’re going to face some issues when uploading blogs or formatting emails. Nick from First Site Guide actually reached out to us about his company’s HTML & CSS cheat sheet - it’s great as a reminder of what you need to do to get your page looking schmick. Plus, it also means less reliance on your team to help you upload. Make sure you check it out! Recruiting quality talent is challenging, we know because at Brand chemistry we’re facing exactly the same issues. Many recruiters are now using LinkedIn and other social channels to find the best people out there for the job - but as with most things in life, it has its pros and cons. BetterTeam put together a handy (and cute) infographic to help you workout if social is the best way to recruit for your office. Check it out and let us know what you think in the comments below. Xerox’s chief marketing technologist, Duane Schultz, shares his knowledge and experiences working across the marketing and IT departments of the multinational business. He gives interesting insights into what marketing automation the mega company uses and how their approach fosters strategy and creativity. They’ve broken down their use of automation technology into three separate areas, mainstream, satellite and independent. It’s a really interesting concept and one many bigger companies can use to model their approach to marketing technology off. Read more about it. 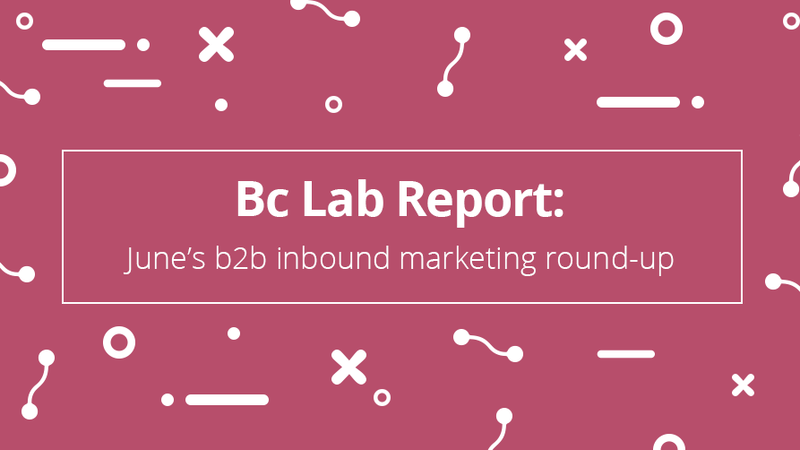 What were some of your favourite inbound marketing articles on the web this month? Let us know in the comments!